Moroccan BERBER CARPET (220 x 160 cm) hand made 100% wool by Moroccan berber women of the BENI OUARAIN tribe. Knotted Traditional Handmade Berber Carpet. This unique piece is ideal for a living room. 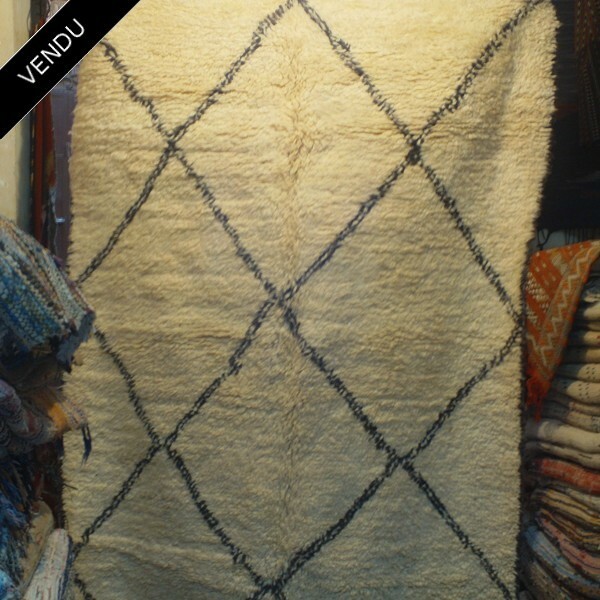 Get more informations about the Beni Ouarain Carpets.